Sand is an inorganic material that will increase permeability to a heavy soil, but will not retain nutrients. The key to adding sand to any soil is the addition of organic materials along with the porous substance. Mechanically cultivating the combined materials into the soil not only adds drainage, but desperately required organic material for soil improvement. According to the Oregon State University extension service, perhaps the optimum time to add any amendment to the soil is in late fall, when all microorganisms will have a chance to convert the organic material into rich humus. Conduct a soil test for conclusive information on the soil's fertility and pH level. Contact your local agricultural extension service for its process and procedures for soil tests and the results that are provided. In most cases, the soil tests take approximately three weeks to six weeks for the final analysis. Add the required agricultural limestone directly to the garden area. Actual amounts will be printed in the soil test results. Layer the organic material on top of the soil that is to be amended. Organic materials that work well with sand are peat moss and wood by-products. The wood by-products can consist of sawdust or bark. According to the Ohio State University extension service, a thick layer 3 inches to 4 inches deep of the organic material must be laid down before the addition of sand. Till the organic material into the soil. This first tilling will aid in breaking up the heavy ground, it will also assist in dispersing the fine particles of sand. Spread 1 inch to 2 inches of the coarse sand over the freshly rototilled garden area. Work the sand and organic material into the soil to an optimum depth of 8 inches to 10 inches deep. Broadcast the recommend amounts of fertilizer over the garden area once the soil has been worked to the 8-inch to 10-inch depth. If no soil test was conducted, add up to 2 pounds of the 12-12-12 fertilizer per 100 square feet of the amended soil area. Rototill the fertilizer into the soil. Plant a suitable cover crop for your area to build up the organic material during the winter months. Consult your local agricultural extension service for cover crops that will perform well in your particular climate area. 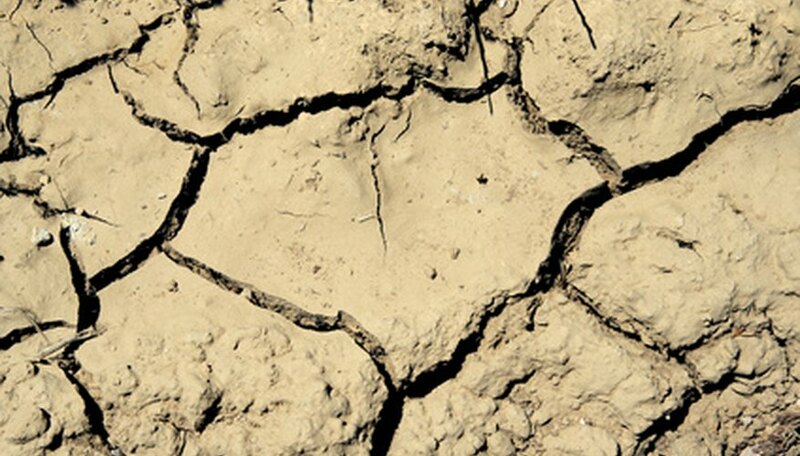 Sand amended improperly to heavy clay soils may turn the ground as hard as mixed concrete.